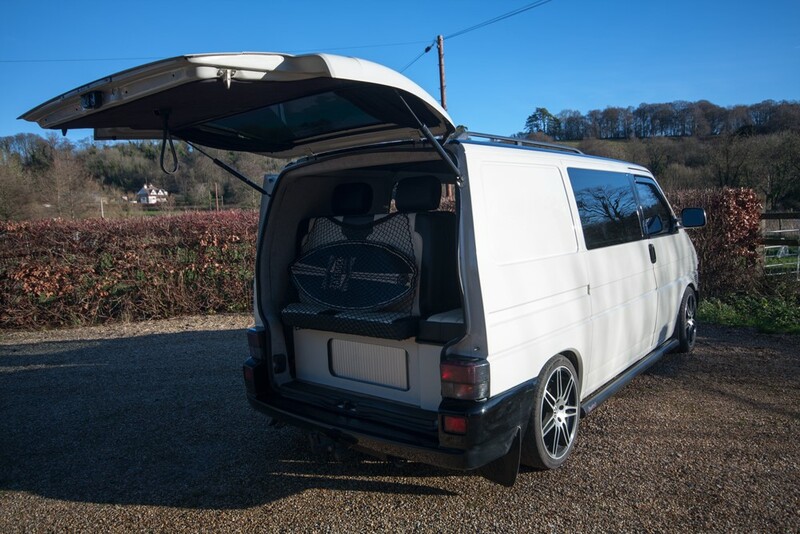 There are many views on what con­sti­tutes a motor car­a­van, how­ev­er, here is how I did mine and it worked fine so I thought I would share as it might help some­body else. Re-clas­si­fy­ing does not reduce the tax but it does how­ev­er allow you to trav­el at the same nation­al speed lim­its as a car and in my expe­ri­ence has reduced my insur­ance pre­mi­um. 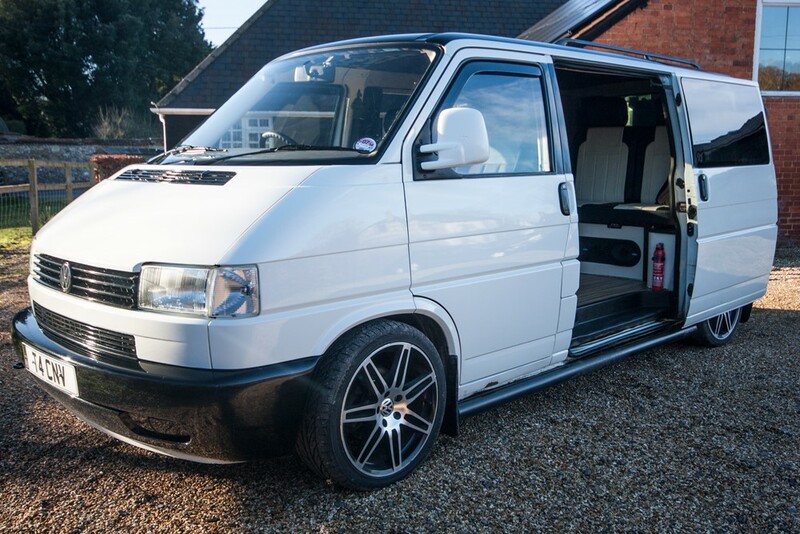 The oth­er bonus with my van in par­tic­u­lar was with it orig­i­nal­ly being the lighter 800 spe­cial mod­el, I was auto­mat­i­cal­ly allowed entry into the low emis­sion zone in Lon­don. Feel free to copy and paste the let­ter into your own word pro­cess­ing soft­ware and edit accord­ing­ly. Basi­cal­ly, the let­ter just needs to explain how it is now a motor car­a­van so make sure you men­tion what has been done to it. 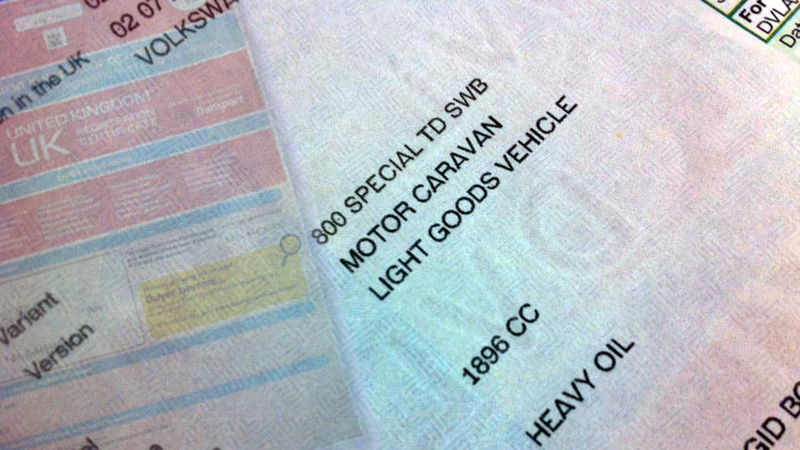 Com­plete sec­tion 7 of your V5C cer­tifi­cate under the head­ing “wheelplan/bodytype”, this should be “Motor Car­a­van”. I also changed the num­ber of pas­sen­gers to 4 as I have seat­belts in the back. Sign and date the dec­la­ra­tion in sec­tion 8 in the “Reg­is­tered Keep­ers” sec­tion and keep the right side by detach­ing along the per­fo­ra­tion. You will need to include pic­tures of the build (I have includ­ed the ones I sent below), then send the V5C, your accom­pa­ny­ing let­ter and a print out of the pho­tographs to VC1 D4, DVLA, Swansea SA99 1ZZ. I nev­er includ­ed any receipts of work done by oth­er par­ties. It took just under two weeks to receive the amend­ed cer­tifi­cate. 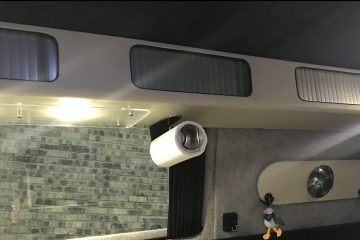 This is my appli­ca­tion to have my con­vert­ed vehi­cle re-clas­si­fied to a motor car­a­van. The vehi­cle was first­ly stripped out, includ­ing bulk­head and fix­ings, sound dead­ened and insu­lat­ed. I then fit­ted out the rear of the vehi­cle with hard­board lined with car­pet. 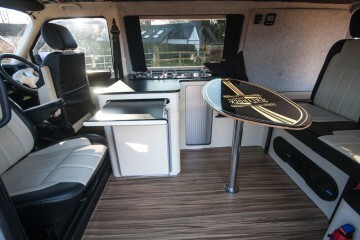 The side win­dows were pro­fes­sion­al­ly fit­ted by Mar­tin of Calyp­so Campers, Sal­is­bury. All rear win­dows have black-out cur­tains. Front win­dows and wind­screen have ther­mal black out screens. 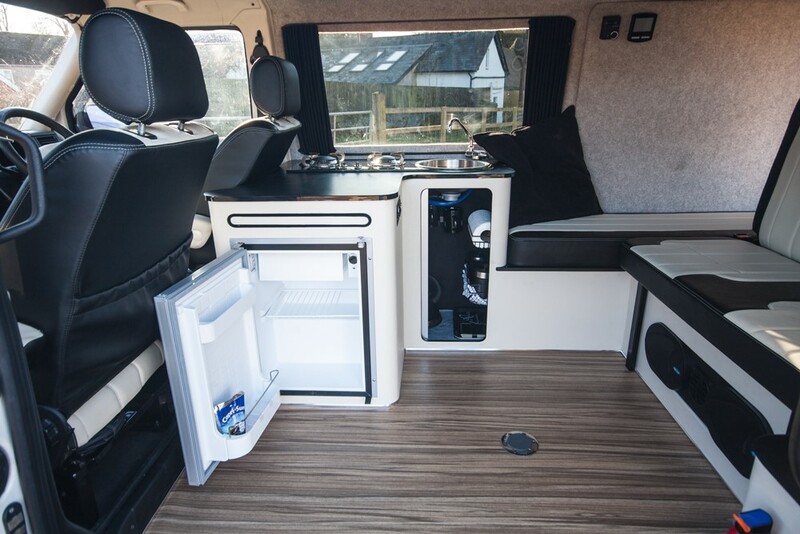 There are two leisure bat­ter­ies on-board which are housed beside the seat/bed, these pow­er the inter­nal 39 litre Vit­rifri­go com­pres­sor fridge, inter­nal lights, hobs, heater and water pump for the sink unit. 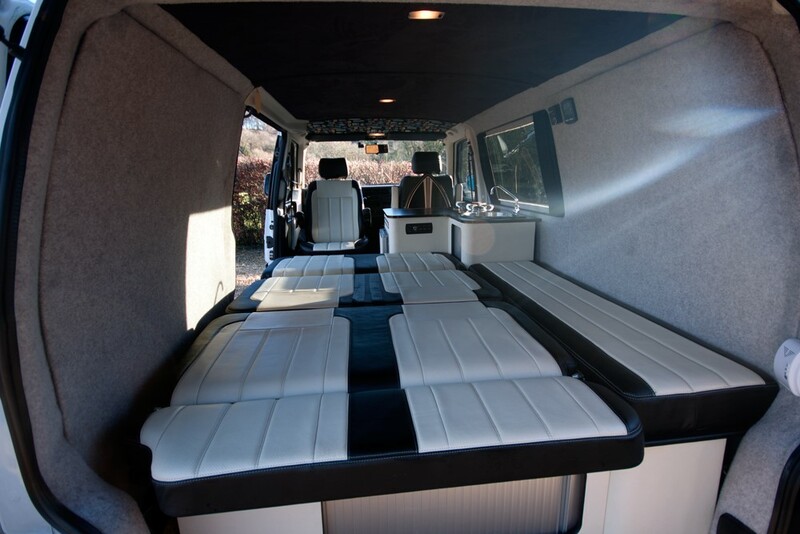 The stor­age units are designed and built by myself and fit around the rock and roll bed (Smart Bed fit­ted by Area M Cus­tom Engi­neer­ing Ltd, Wring­ton, Som­er­set). 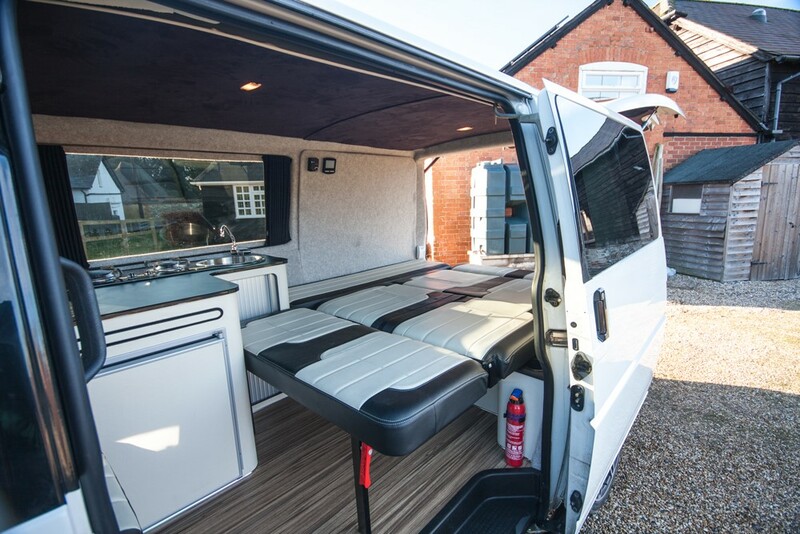 The side units have a bench on top, so that when the bed is laid flat, it becomes full width. 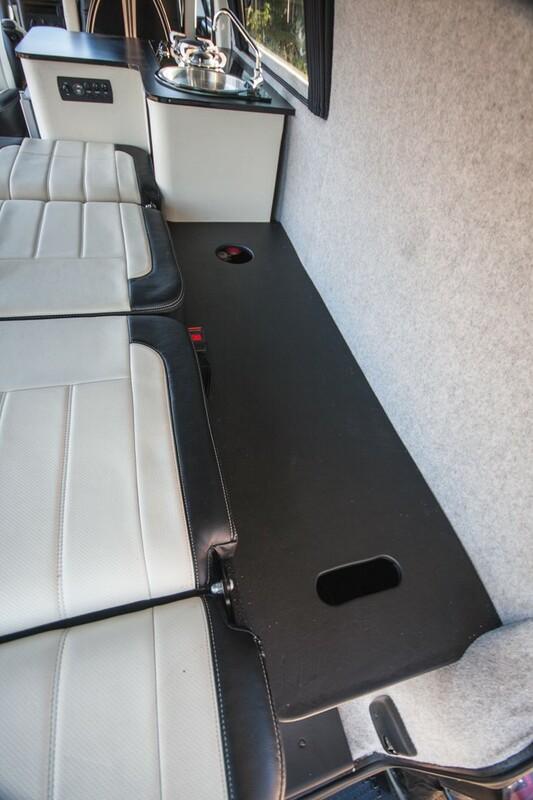 There is stor­age under­neath the seat as well as in the side unit under­neath the hob/sink unit. The table seat­ing arrange­ment eas­i­ly accom­mo­dates 4 peo­ple. 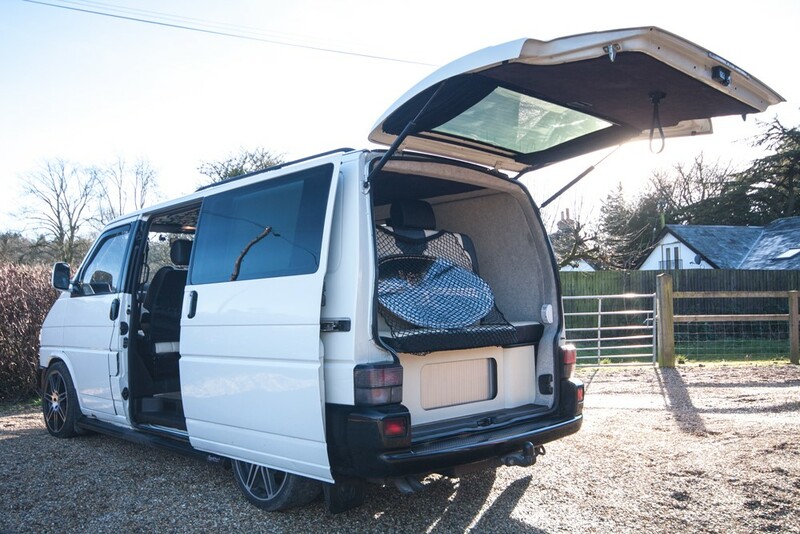 The table can be stored at the back of the van, behind upright seat, when not in use. 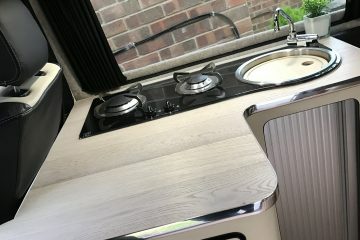 The CAN twin hob and sink unit is locat­ed on top of the side units. The gas bot­tle is stored in front of the rear wheel in its own hous­ing, both side units con­tain drop out vents. 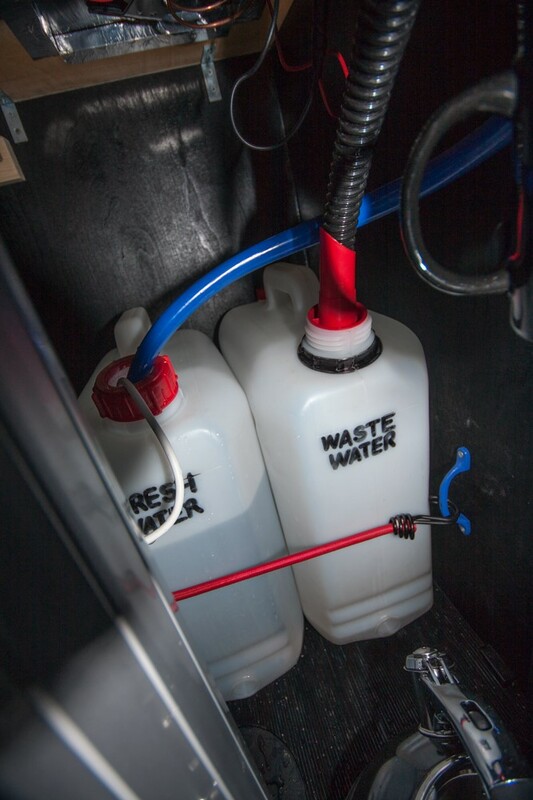 There are two 20 litre water con­tain­ers stored in the unit behind the fridge, one for drink­ing water and one for waste water. The drink­ing water is pow­ered by a Whale water pump to the tap on the sink. 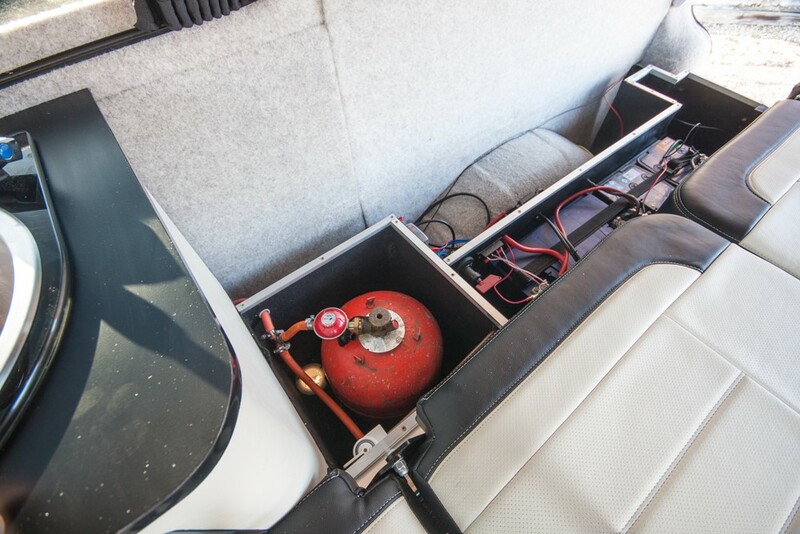 A Propex HS2000 heater is installed beneath the bed which runs on gas and elec­tric with­in the vehi­cle. I hope I have includ­ed all infor­ma­tion that you require. I enclose pho­to­graph­ic evi­dence.